CJCUC is grateful to the scholars who have contributed to ITI’s first theological publication. The scholars of Covenant & Hope came from the varying disciplines of theology, ethics, philosophy, rabbinics, and political thought. When the project was conceived, it was the hope of Robert Jensen and Eugene Korn to create a community of dialogue. The hope was realized as the fellowship gradually assumed synergy. 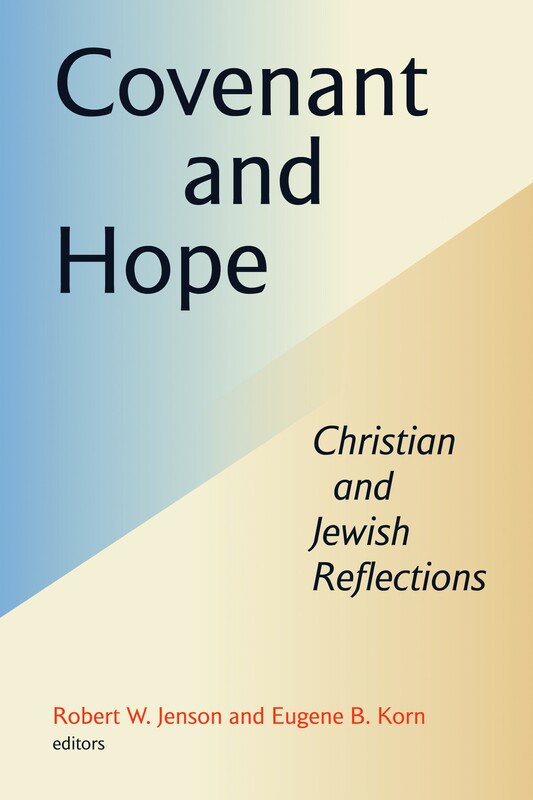 The Center’s dream is that not only will the vital theological contributions in this publication enhance contemporary Jewish-Christian dialogue, but also advance an ever-growing appreciation for each other’s community of faith. 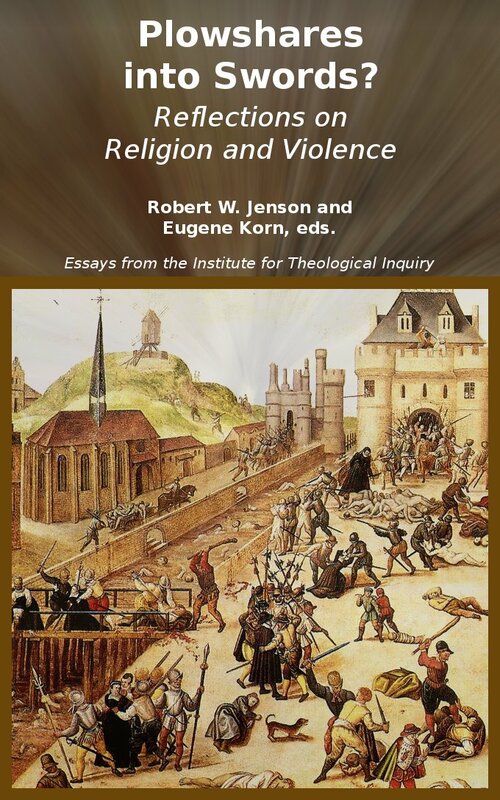 Robert Jensen is the co-Director with Eugene Korn of the Institute for Theological Inquiry. He has taught systematic theology and philosophy at Oxford, Notre Dame and Princeton Universities. His was the Senior Scholar for Research at the Center of Theological Inquiry in Princeton for eight years. Besides his two-volume work, Systematic Theology, he is the author or co-author of seventeen books. He was co-founder and long-time associate director of the Center for Catholic and Evangelical Theology, and co-founder and long-time editor or co-editor of the journals Dialog and Pro Ecclesia. Most recently, he has written commentaries on Song of Songs and Ezekiel. It is his conviction that Christianity needs a theological understanding of Judaism, and that Christian and Jewish thinkers must work together on shared theological questions. 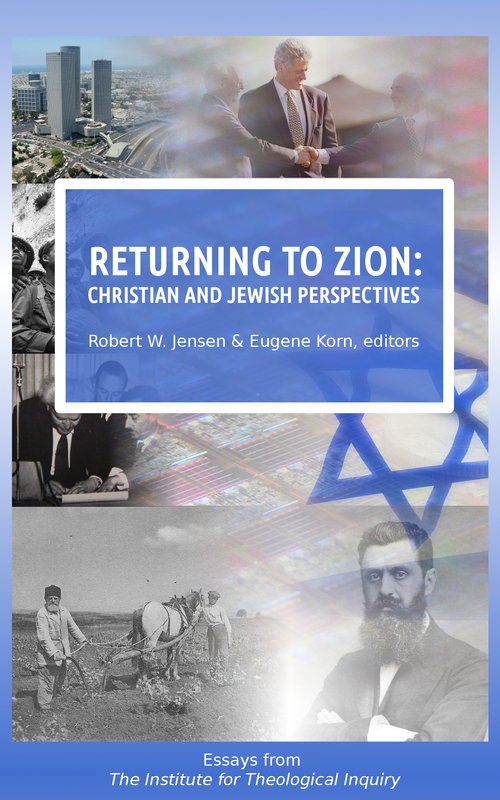 Eugene Korn is Co-Director with Robert Jenson of the Institute for Theological Inquiry, and the American Director of The Center for Jewish-Christian Understanding and Cooperation in Israel. He holds a doctorate in moral philosophy from Columbia University and was ordained by the Israeli Rabbinate. He is the author of The Jewish Connection to the Land of Israel—A Brief Introduction for Christians (Jewish Lights) and Land and Covenant: The Religious Significance of the State of Israel. He co-edited the third edition of End of Exile by James Parkes (Micah Press 2004), Two Faiths, One Covenant? (Rowman and Littlefield) and Jewish Theology and World Religions (Littman Library,2012). 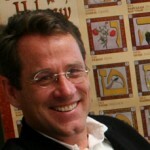 He has published over 30 scholarly essays on Jewish ethics and Jewish-Christian relations, most recently “Rethinking Christianity: Rabbinic Positions and Possibilities” in Jewish Theology and World Religions; “American Jewish Interfaith Relations” in The Future of American Judaism (Columbia U); “Orthodoxy, Contemporary Pluralism and the Christian Other,” in Mishpatei Shalom (KTAV); and “Divine Commands, Genocide and Amalek: Moralization in Jewish Law” The Edah Journal. He also edits Meorot—A Forum for Modern Orthodox Discourse. Gerald McDermott is the Jordan-Trexler Professor of Religion at Roanoke College, in Roanoke, VA. One of the leading authorities on “America’s theologian,” Professor McDermott has authored four books on Jonathan Edwards: Understanding Jonathan Edwards (Oxford University Press), Jonathan Edwards Confronts the Gods (Oxford University Press, One Holy and Happy Society: The Public Theology of Jonathan Edwards (Penn State Press), and Seeing God: Jonathan Edwards and Spiritual Discernment (Regent College Press), as well as Can Evangelicals Learn from World Religions? (InterVarsity Press), The Baker Pocket Guide to World Religions (Baker) and God’s Rivals: Why Has God Allowed Different Religions? 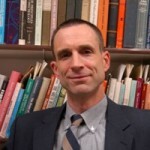 (InterVarsity Press).Professor McDermott is now editing The Oxford Handbook of Evangelical Theology (Oxford University Press), and co-editing Handbook of World Religions (Baker Academic). His The Great Theologians for Beginners (InterVarsity Press, 2010). David Novak holds the Shiff Chair of Jewish Studies as Professor of the Study of Religion and Professor of Philosophy at the University of Toronto since 1997, where his is also a member the Centre for Ethics of the Joint Centre for Bioethics. From 1997 to 2002 he also was Director of the Jewish Studies Program. 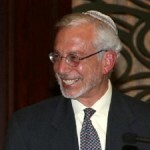 He is secretary-treasurer of the Institute on Religion and Public Life in New York City Fellow of the American Academy for Jewish Research and the Academy for Jewish Philosophy, and a member of the Board of Consulting Scholars of the James Madison Program in American Ideals and Institutions at Princeton University. 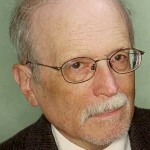 He is the author of thirteen books, including The Jewish Social Contract: A Essay in Political Theology, and Talking with Christians: Musings of a Jewish Theologian, and Covenantal Rights: A Study in Jewish Political Theory. He has edited four books, and is the author of over 200 articles in scholarly and intellectual journals. 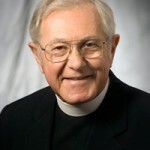 Bishop Richard J. Sklba studied at the Gregorian University, Rome, completing an undergraduate degree in philosophy and a graduate degree in theology. He was ordained to the priesthood in Rome for the Archdiocese of Milwaukee in 1959. In 1962, he returned to Rome for three more years of study. While there, he attended the Pontifical Biblical Institute, Rome, and completed the equivalent of an advanced master’s degree in sacred Scripture. He completed the equivalent of a doctoral degree in biblical studies at the Pontifical University of St. Thomas of Aquinas (Angelicum), Rome. He was privileged enough to be present in Saint Peter’s Basilica, Rome, for the opening session of the Second Vatican Council on October 11, 1962. Bishop Sklba served as chair of the USCCB’s Committee for Ecumenical and Interreligious Affairs from 2005-2008. In that capacity, he had the privilege of introducing the nation’s religious leaders from several traditions including Jewish, Islamic, Buddhist, Hindu and Jain to Pope Benedict XVI during the Holy Father’s historic pastoral visit to the United States in April of 2008. Naftali Rothenberg is a Senior Research Fellow at the Van Leer Jerusalem Institute (since 1994), where he holds the Chair in Jewish Culture and Identity. He also serves as the Rabbi and spiritual leader of Har Adar, a Jerusalem suburb town, where he resides with his family. His has been a member of the International Committee of Religion, Science & the Environment (London, 1995-1997) and 2005 Martin Marty Center visiting Scholar at the Divinity School, University of Chicago. He has published numerous articles on philosophy, Jewish thought, and Jewish Law. 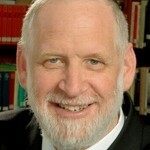 His recent books include Studies on Jewish People, Identity and Nationality, (2008) Meditations on the Parasha-The Weekly Torah portion as inspiration for Jewish thought and creativity, (Hebrew, 2005), Beloved Doe—Studies in the Wisdom of Love, (Hebrew, 2004), Jewish Identity in Modern Israel—Proceedings on Secular Judaism and Democracy, 2002. His most recent book is The Wisdom of Love—Man, Woman & God in Jewish Canonical Literature, (Academic Studies Press, 2008). Shlomo Riskin is an internationally-renowned educator, speaker, and author, and changed the status quo of Jewish-Christian relations in 2008 by opening the first Orthodox Jewish center to religiously dialogue with the Christian world – . 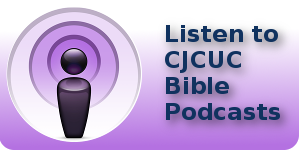 the Center for Jewish-Christian Understanding and Cooperation (CJCUC). Through hosting tens of thousands of Christians at its headquarters in Efrat and sending staff lecturers to all four corners of the globe, the CJCUC is sending a message to the world that Judaism and Christianity can work together to turn a fragile and fragmented realm into a united global community committed to a G-d of love and peace. Israel’s Prime Minister, Benjamin Netanyahu, awarded the honor of Ambassador for Jewish-Christian Relations upon Rabbi Riskin, in recognition of his pioneering efforts in reconciliation between Jews and Christians,. In addition, Rabbi Riskin was given the Interreligious Dialogue award by Pave the Way Foundation and was bestowed the title of Rabbinical Authority to Christians United for Israel (CUFI), a Christian Zionist organization with over 1.2 million members. 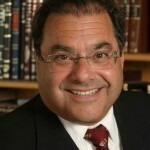 Rabbi Riskin earned his BA in Greek, Latin, and English Literature from Yeshiva University and his rabbinical ordination from Rabbi Joseph B. Soloveitchik. He holds a Masters Degree in Jewish History, and in 1982 he was awarded his Ph.D. from New York University’s department of Near Eastern Languages and Literature. 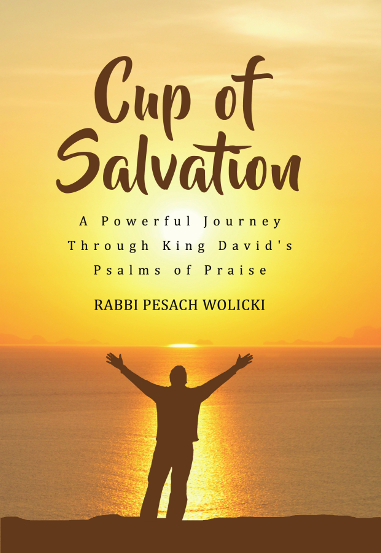 As a weekly bible commentator and contributor to the Jerusalem Post as well as other syndicated media outlets, Rabbi Riskin’s scriptural analysis has influenced both Jews and Christians to connect with God’s Word in a deeper and more meaningful way. In addition, he has published scores of articles and monographs on Judaism and contemporary issues, as well as on the Five Books of Moses. Michael Wyschogrod is professor of philosophy emeritus, at City University of New York. From 1994-2002 he served as professor of religious studies at University of Houston. He has also been a visiting professor of philosophy at Yeshiva University, The New School, Heidelberg College of Jewish Studies, University of Berne, Kirchliche Hochschule Wuppertal and Princeton Theological Seminary. He holds a PhD. in philosophy form Columbia University. Some of Professor Wyschogrod’s works include Jews and “Jewish Christianity”, with David Berger (Ktav, 1978); The Body of Faith: Judaism as Corporeal Election (Seabury-Winston, 1983); Understanding Scripture: Explorations of Jewish and Christian Traditions of Interpretation, co-edited with Clemens Thoma (Paulist Press, 1987); Parable and Story in Judaism and Christianity, co-edited with Clemens Thoma, (Paulist Press, 1989); and Abraham’s Promise: and “Incarnation and God’s Indwelling in Israel” in Incarnation, M.N. Olivetti, ed. (Biblioteca dell Archivio di Filosofia, 1999). Judaism and Jewish-Christian Relations (Erdmans, 2004). He has published more than sixty scholarly articles and reviews in general philosophy and Jewish thought. Prof. Wyschogrod has been a member of editorial boards of the Journal of the American Academy of Religion, the Journal of Ecumenical Studies, Kirche und Israel, Judaism, and Tradition. He also served as an Associate of University Seminar on Religion of Columbia University, Senior Consultant on Interreligious Affairs of the Synagogue Council of America, Director of the Institute for Jewish-Christian Relations for the American Jewish Congress, and Director of the White Rose Foundation. Russell R. Reno is Professor of Theology at Creighton University and the general editor of the Brazos Theological Interpretation of the Bible series. 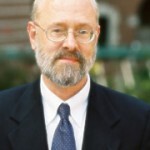 His recent books include Genesis (Brazos);”Sanctified Vision: An Introduction to Early Christian Interpretation of the Bible, (Johns Hopkins University Press); In the Ruins of the Church: Sustaining Faith in an Age of Diminished Christianity, (Brazos Press); and Redemptive Change: Atonement and the Christian Cure of the Soul, (Trinity Press). His recent essays include “Theology and Biblical Interpretation,” in Sharper Than a Two-Edged Sword: Preaching, Teaching, and Living the Bible, (Eerdmans); “The End of the Road,” First Things; “Nietzsche’s Deeper Truth, First Things; “Reading the Bible with the Church,” in Calvin Theological Journal; “Faith in the Flesh,” Commentary; “Rebuilding the Bridge Between Theology and Exegesis: Scripture, Doctrine, and Apostolic Legitimacy,” in Letter and Spirit; “Origen and Spiritual Interpretation,” Pro Ecclesia; “Pride and Idolatry,” Interpretation; “Ethics and Redemption,” The Oxford Handbook for Christian Ethics; “God or Mammon?” The Ten Commandments for Jews, Christians, and Others. 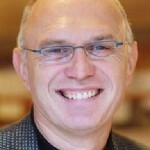 Miroslav Volf is the Director of Yale Center for Faith and Culture and the Henry B. Wright Professor of Systematic Theology at Yale Divinity School. He received a Doctorate in. Theology from the University of Tübingen in Germany. 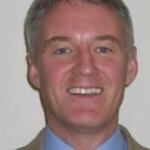 Professor Volf’s recent books include Free of Charge: Giving and Forgiving in a Culture Stripped of Grace (2006), Archbishop of Canterbury Lenten book for 2006; Exclusion and Embrace: A Theological Exploration of Identity, Otherness, and Reconciliation (1996), a winner of the 2002 Grawemeyer Award; and After Our Likeness: The Church as the Image of the Trinity (1998), winner of the Christianity Today book award. 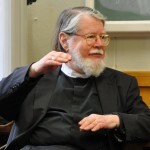 A member of the Episcopal Church in the U.S.A. and the Evangelical Church in Croatia, Professor Volf was involved in international ecumenical dialogues (for instance, with the Vatican Council for Promotion of Christian Unity) and interfaith dialogues (most recently in Christian-Muslim dialogue). A native of Croatia, he regularly teaches and lectures in Central and Eastern Europe. Darlene Fozard Weaver is Associate Professor of Theology at Villanova University and Director of the Theology Institute at Villanova. Her classes focus on fundamental moral theology, ethical theory, ethics and the family, sexual and reproductive ethics, and health care ethics. She is the author of Self Love and Christian Ethics (Cambridge) and the forthcoming Involvements with God and Goods: Persons and Actions in Christian Ethics (Georgetown). She is editor of and contributor to The Ethics of Embryo Adoption and the Catholic Tradition (Springer/Kluwer). Alan Mittleman is Professor of Modern Jewish Thought and head of the Department of Jewish Thought at the Jewish Theological Seminary, where he serves as Director of the Seminary’s Louis Finkelstein Institute for Religious and Social Studies. 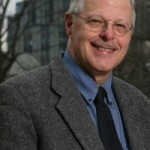 Prof. Mittleman is the author of four books, Hope in a Democratic Age, (Oxford University Press), Between Kant and Kabbalah (SUNY Press), The Politics of Torah (SUNY Press), and The Scepter Shall Not Depart from Judah (Rowman & Littlefield), and the editor of four books, Uneasy Allies: Jewish and Evangelical Relations (Rowman & Littlefield); Religion as a Public Good (Rowman & Littlefield); Jewish Polity and American Civil Society (Rowman & Littlefield); and Jews and the American Public Square (Rowman & Littlefield). Deborah Weissman is a resident of Jerusalem, where she is has devoted her life to Jewish education and interfaith relations. 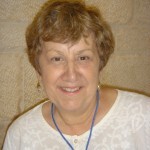 She is president of the International Council of Christians and Jews, and a member of the Academic Advisory Council of the Swedish Theological Institute in Jerusalem, the International Editorial Advisory Board of Nashim: A Journal of Jewish Women’s Studies & Gender Issues, and the editorial board of Studies in Christian-Jewish Relations. Her latest publications include “Jewish Religious Education as Peace Education,” in Peace Education and Religious Plurality: International Perspectives (Routledge); “Towards a Humanistic Hermeneutic of Jewish Texts,” in Hermeutical Explorations in Dialogue: Essays in Honor of Hans Ucko, Anantanand Rambachan, (Indian Society for Promoting Christian Knowledge ); “What We Are and Who We Are: Educating for the Universal-Particular Dialectic in Jewish Life,” in Languages and Literatures in Jewish Education:Studies in Jewish Education in Honor of Michael Rosenak, (Hebrew University).